CAS is my kind of style. Off late I have been more technique focussed. So it was refreshing to make a clean and simple card. 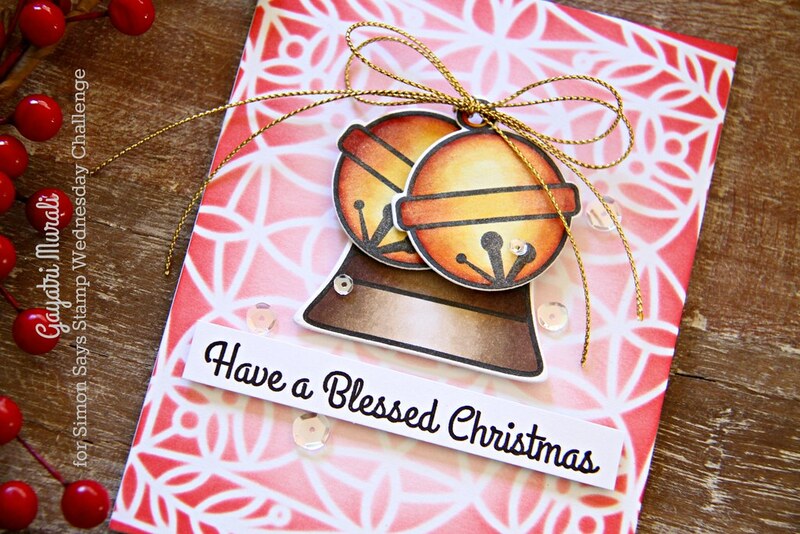 I have used CAS-ual Fridays Sleigh Bells stamp set along with Bell Tags dies to make my card for the challenge. 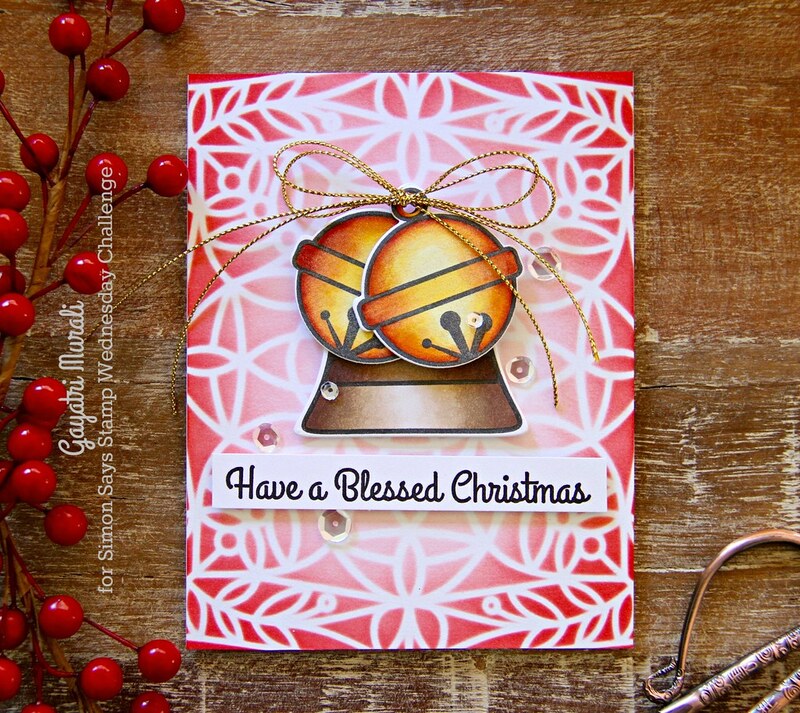 For the background, I used Simon Says Stamp Carolyn stencil and distress inks in Candied Apple and Festive Berries sponged in ombre fashion from the edges fading to inside of the card. 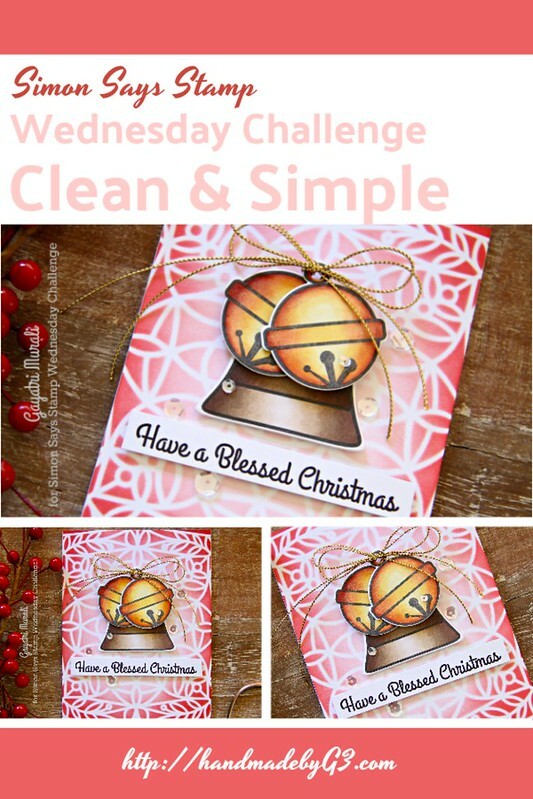 If you like to add my card to your pinterest board, here is the pin for you. Cannot wait to see your CAS card. Thanks for stopping by today. That background steps everything up on a notch, Gayatri – love your design! Beautiful bells with a beautiful background!